Theatrefullstop Presents… The Pub Theatre Festival 2017! Theatrefullstop have teamed up with both the Etcetera Theatre and Lion and Unicorn Theatre to present the first Pub Theatre Festival set to be staged in April 2017. Theatrefullstop will be introducing the Theatre & Technology Awards next October. Technology, without a second thought is apart of our lives, and it plays a very important role. This couldn’t be more evident in the world of theatre, and the belief is that this should be highlighted. A website is currently in the process of being created, alongside a logo to represent the awards which will be launched in July 2016 to celebrate Theatrefullstop’s third birthday. The website will give readers an opportunity to find out more about the awards and how they can get involved. Theatrefullstop are glad to announce 2 sponsors; Billetto UK, the go to online ticketing website for the latest trendy events and Projected Image, a gobo manufacturer devoted to creating the very best designs. Tiata Fahodzi‘s Artistic Director Natalie Ibu, About Time Magazine‘s Editor-In-Chief Angelica Malin, Tamassy Creative‘s Creative Director Taiyo Nagano, UK Blog Awards‘ Managing Director Gemma Newton and Triforce Promotions‘ Company Director Minnie Crowe have also been confirmed as judges. This is a very exciting venture for Theatrefullstop, and the aim is to spread the word and ultimately celebrate those individuals and companies that are enhancing the theatrical experience both on and off the stage by using technology. A coffin presents itself, filled with bereavement snacks including malt loaf, custard creams and apple pie. Jack Rooke and his 85-year old Nan Sicely, invite you to the happiest town in Britain, where Dad’s dead and the only thing to eat is lasagne. Rooke’s critically acclaimed debut hour blends comedy, storytelling and film to explore how we treat the bereaved, whilst challenging proposed welfare cuts for grieving families and celebrating finding happiness after tragedy. Votes now open for the UK Blog Awards 2016! This time last year, we had found out that we had made it to the 2nd round of votes at last year’s UK Blog Awards, and we were quite frankly grateful to just be apart of an award ceremony acknowledging blogging talent. For those that are aware, we were lucky enough to not only be nominated, but to win the Young Person’s Recognition Award which was a fantastic confidence boost! We’d like to say a big thank you to the awards for a lovely evening, both Christopher Walkey (CEO and founder of Marketme.com) and Michael Ruffles (Digital and Social Media Manager at Virgin StartUp) who were responsible for judging the Young Person’s Recognition award finalists and of course yourselves for your ongoing support! It’s that time of year again. Time for family gatherings, office parties and too many mince pies! 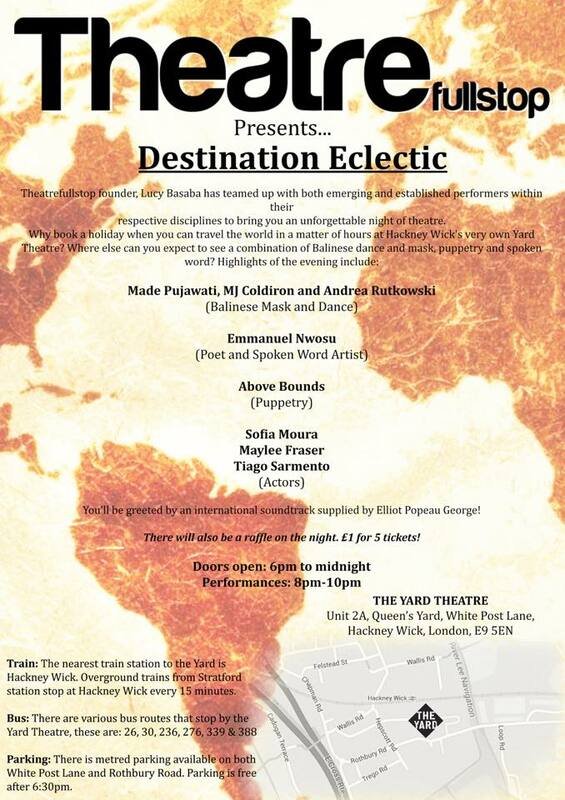 And what better way to celebrate than coming along The Christmas Wishlist at The Yard theatre?